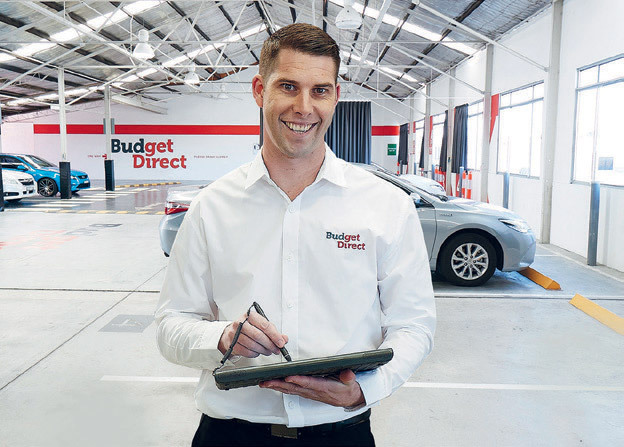 ESTABLISHED IN 2000, Budget Direct has solved insurance for over 1.5 million customers throughout Australia by providing award-winning motor insurance, CTP and roadside assistance products. Budget Direct’s personalised products enable customers to tailor-make their car insurance. For example, it has the widest range of age restrictions – customers can restrict their policy to drivers over a certain age (21+, 25+, 30+, 40+, 50+); the biggest age range of any major insurer§. Budget Direct’s vision is to provide its customers with smarter solutions that safeguard a brighter future. This means being there when they need it through their channel of choice. Its 24/7 claims service allows customers to lodge a car insurance claim over the phone or online at any time of the day or night, 365 days a year. It continues to invest in digital solutions such as an online policy manager portal that customers can access 24/7, web chat and lodge claims. It also provides phone support through its call centres. Budget Direct’s customer experience principles provide staff with a common understanding of how to make decisions. So it’s not surprising that Budget Direct scores high in customer satisfaction research, with customers independently rating its car insurance 4.5 out of 5 stars+. Contact Budget Direct today for a 15% online discount on new Gold Comprehensive Car Insurance^. § The 50+ age bracket applies only to policies purchased on or after 2 July 2017. + Based on a survey of Budget Direct Car Insurance customers conducted between 10 February 2015 and 31 May 2018. Visit www.budgetdirectreviews.com.au for more details. ^Terms & Conditions apply see budgetdirect.com.au. Insurance issued by Auto & General Insurance Company Limited. Read PDS available from us to decide if products suit you. Insurance not available in NT.